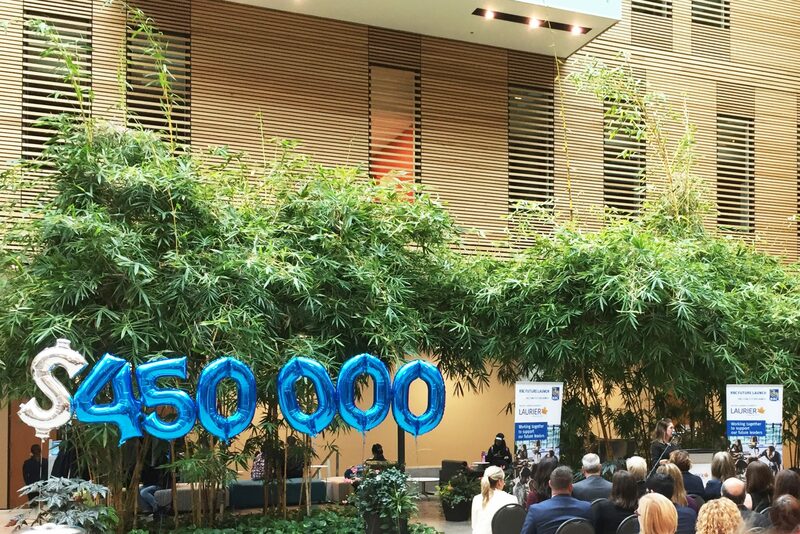 Tuesday marked the launch of the Schlegel Centre for Entrepreneurship and Social Innovation’s partnership with the RBC Entrepreneurial Accelerator program, as part of RBC’s Future Launch. The program gives Laurier students the opportunity to work on their own start-up or work for an existing start-up that aligns with their passions, while still funding the students with co-op level wages to support themselves without having to get a part-time job on top of working with these initiatives. Applicants went through an intense interview process, in which most already had ideas or were currently growing their own start-ups. The interview included questions asking about how their idea would blossom in a cutthroat business environment and how they could deal with competition. The launch event began with a workshop hosted by RBC called “Build Your Personal Brand.” It consisted of helping students create their own personal imprint on the community, rather than just how to market an existing enterprise, which is helpful for start-ups that want to give a face to their brand. Jovic Howland, a senior recruiter in wealth management at Griffith Dias and a recruiter in corporate functions represented RBC in the workshop, which taught participants skills like defining a brand, creating a professional presence, refining social media, personal branding and telling your story with an elevator pitch. “A lot of times when it comes to presenting to a recruiter like myself, they love individuals with a high GPA, but they’re also looking at social perception. What was seen as soft skills before they are now placing so much greater emphasis on. This workshop itself is elaborating on that upscale of those soft skills,” Dias said. RBC and Laurier have had a strong relationship for many years, but now with this funding, they are helping students achieve their dreams at the next level. The workshop was followed by a networking event in Lazaridis Hall, where faculty many different disciplines were present for the announcement of all the grants received by the school from RBC. Speeches were delivered from president and vice chancellor of the school, Deborah MacLatchy, the regional vice president for RBC Kitchener-Waterloo Massimo Iacurti and executive director of the Schlegel Centre Laura Allan, among others present at the launch event. There are currently nine recipients of the award, and the aim is 15 — which is five per semester. The disciplines of these students range from business administration to global studies, as the Schlegel Centre exists to help students beyond the classroom in all degrees, not just business students. The funding is an accelerating factor in helping students the way Schlegel already does but lets them work full time instead of being in class or co-op. Executive director Laura Allan has been helping students achieve their entrepreneurial goals for years, but RBC’s program is giving the Schlegel Centre that extra push. “$125,000 per year is allocated for the Entrepreneurship Accelerator program, so 15 students; and then another $25,000 is for the experience, so if they have a competition they want to go to or a conference to attend — that type of thing,” Allan said. “How do you find funds? How do you take away time from school? That is expensive, when you should be working, so that you can actually apply that back into your business.” Allan said. “That would not be possible.” As for Schlegel, this is just the beginning, Allan says.